Ok, first things first: Why do we need protein in our diets? Our bodies need protein to structure and regulate our bodies cells, tissues and organs. Protein is broken down into two sub-categories based on amino acids which make up a protein: complete proteins and incomplete protein. Getting your protein intake from natural foods is of course the healthiest way to make sure you are meeting your daily protein needs, but with our busy schedules sometimes a protein bar is the next best thing! However, what you think may be considered a healthy protein bar could turn out to be packed with hidden unhealthy ingredients. When I look for a protein bar I look for the following qualities: Ingredients, taste and protein content. Whey protein isolate is considered a complete protein and is found in many of the protein bars on the market right now. One of my favorite protein bars right now containing whey protein isolate are Quest protein bars, particularly the white chocolate raspberry flavor. If you have not tried these yet, these are an absoulte must! Not only are these the best tasting protein bars I have ever tried, they also contain mostly healthy ingredients. One bar contains 190 calories, 20g of protein (combination of whey protein isolate and milk protein isolate) 17g of fiber and are low in sugar. Although these bars are great on occasion they do contain about 3.5g of saturated fat and substitute sugars (sucralose & stevia) which we want to consume in moderation. Quest bars are a little bit more difficult to find, but can be purchased at some 24 hour fitness locations, GNC and The Vitamin Shoppe. 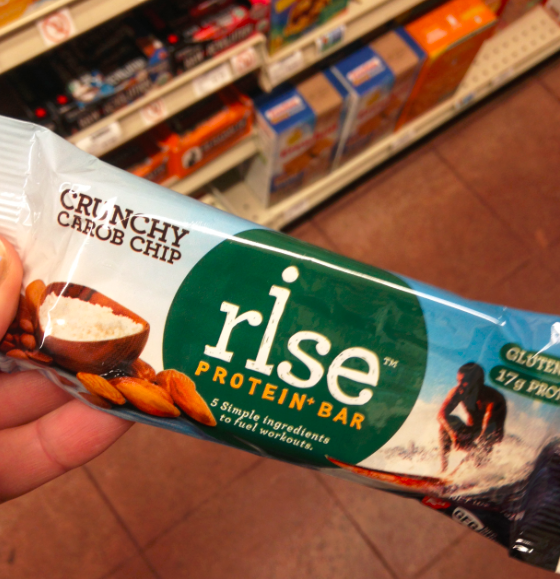 Another protein bar I would recommend containing whey protein and mostly healthy ingredients are Rise protein + bars. These bars contain a very short list of ingredients. For example, the Crunchy Carob Chip bar contains only five ingredients: Agave, carob powder, whey protein isolate, crisp rice. This flavor bar contains 260 calories, 17g of protein, 5g of fiber and 13 grams of sugar. This bar does contain a good amount of fat as well (15g fat, 1 gram of saturated fat), so just be mindful and consume in moderation! 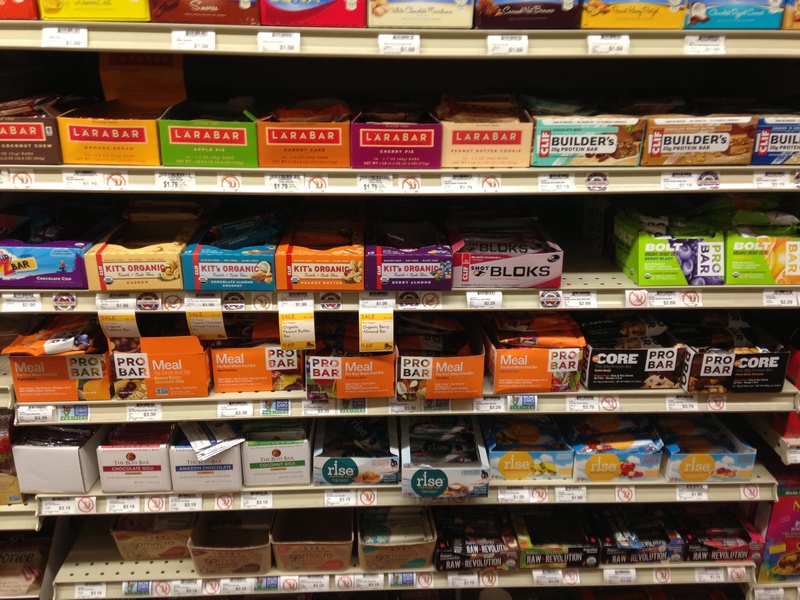 You can find these tasty bars at your local Whole Foods. Feel free to comment on what your favorite protein bars are right now!